These taps and mixers have a very simple classic design throughout the range that would make them a fantastic option for refreshing any contemporay modern bathroom setting. 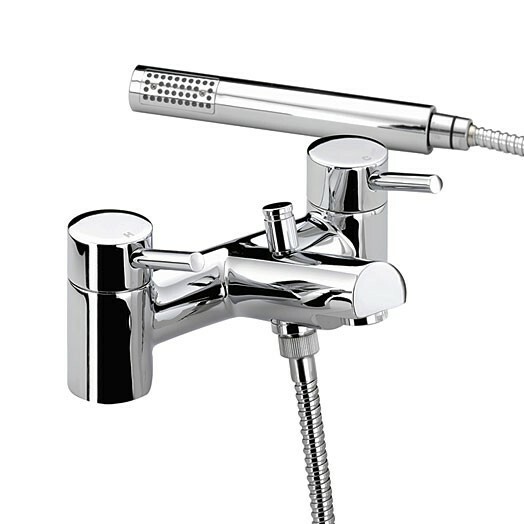 This bath tap is for standard baths with two tap holes. 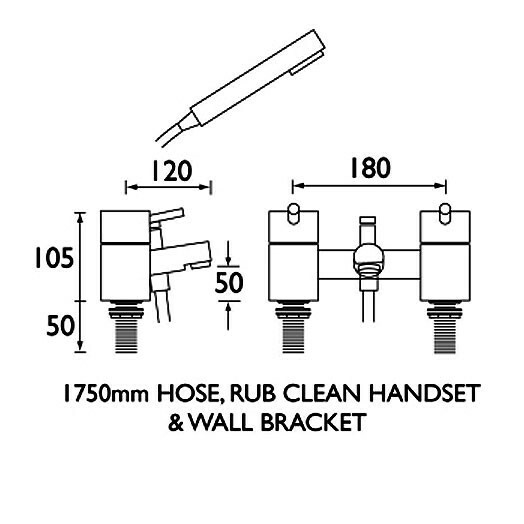 This tap is supplied complete with a 1.75m shower hose, a rub clean single function shower handset and a wall bracket. 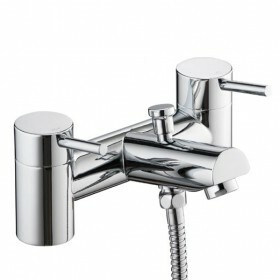 The Prism pillar bath shower mixer is only available in chrome plated finish as shown. 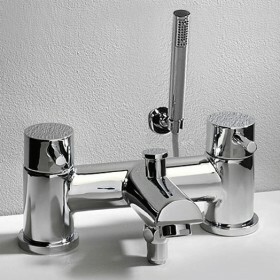 High quality, excellent finish and looks great + works extremely well with low pressure water. Service rating : Called to check specification on product and received very good advice. Ordered and arrived the next day. 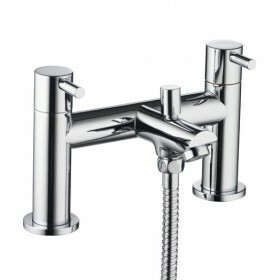 Product : High quality, excellent finish and looks great + works extremely well with low pressure water.